S. M. WILSON PROMOTES MARK COCHRAN TO CHIEF OPERATING OFFICER - S. M. Wilson & Co. S. M. WILSON PROMOTES MARK COCHRAN TO CHIEF OPERATING OFFICER - S. M. Wilson & Co. In partnership with Amy Berg, President and as a member of the Executive Committee, Cochran will be heavily involved in strategic planning, developing new market strategies, high-level financial decision making and planning and developing company-wide systems and processes. “We promoted Mark because of his steadfastness and professionalism under pressure, his problem-solving abilities, his strategic thinking, and his unwavering commitment to our Core Purpose and Core Values. Mark has influenced many positive changes over the years which resulted in the significant successes that you see today,” stated Amy Berg, President. 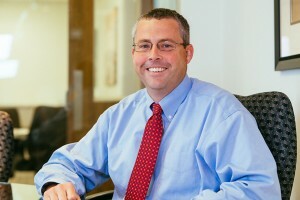 Cochran began as an intern with S. M. Wilson in 1999. Over his 17 year tenure, Mark has managed $500,000,000+ of projects. He holds a B.S. Civil Engineering from the University of Illinois –Urbana-Champaign. He is a graduate of the Construction Leadership Institute hosted by Southern Illinois University Edwardsville and has his ASHE Healthcare Construction Certificate.